The College of Mass Communication and Al Falah University strive for creation of effective communication with community through activities to highlight the name of the university locally and internationally. In this effort a delegation of students of College of Mass Communication headed by Prof. Nasr Abbas and Mr. Emad Hamdi, Director Library visited Abu Dhabi International Book Fair 2016. 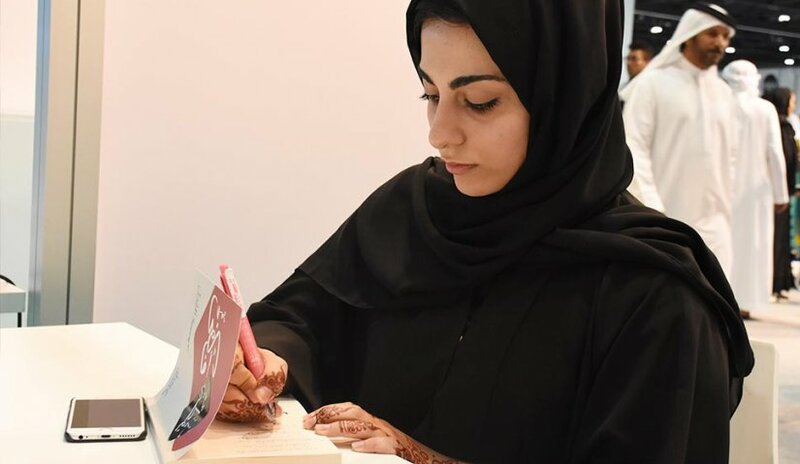 This is the twenty-sixth edition of then fair which is organized by the Abu Dhabi Authority for Tourism and Culture under the patronage of His Highness Sheikh Mohammed bin Zayed Al Nahyan, Crown Prince of Abu Dhabi and Deputy Supreme commander of the armed forces. The delegation was briefed on a number of exhibition booths. 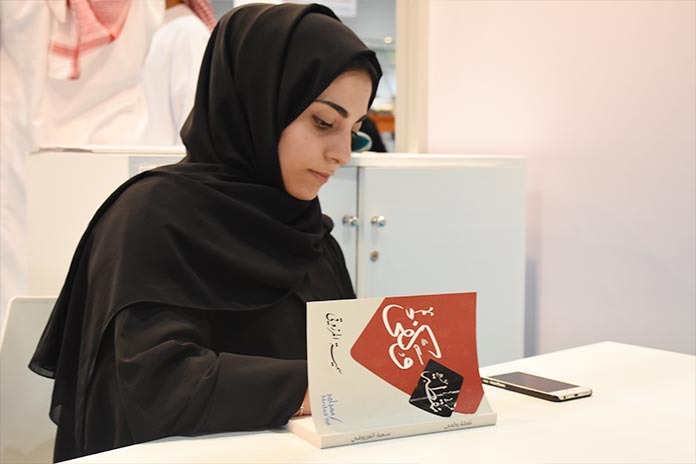 The most prestigious moment for Al Falah University was the book signing ceremony of our student Ms. Samia Marzouki from College of Mass Communication. The title of her book is “NOQTA W KAFA” released by Medad Publishing & Distribution Our distinguished faculty member, Prof. Nasr Abbas also signed his new book, "The concept of waiting between psychology and novel creativity released by elain publishing. This exhibition includes more than 1,250 exhibitors from 63 countries. It is a cultural platform that attracts a group of writers, publishers, agents and distributors. Intellectuals and symbols of literature and poetry are its highlight in addition to the diversity of interests. It is an important opportunity for the latest publications and participation in a range of cultural, professional, educational, intellectual and meetings activities.